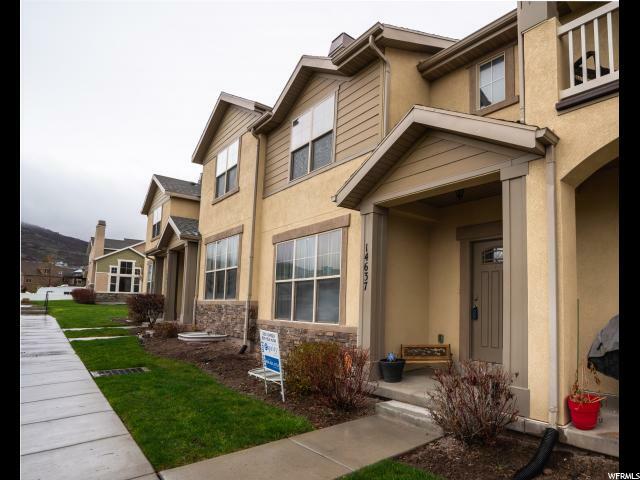 "Beautiful town home located near the center of Herriman. Walking distance to recreation center, Mountain View shopping center, parks, schools shopping, public transportation and more! Location and convenience matters! The home's design is fresh and bright throughout. 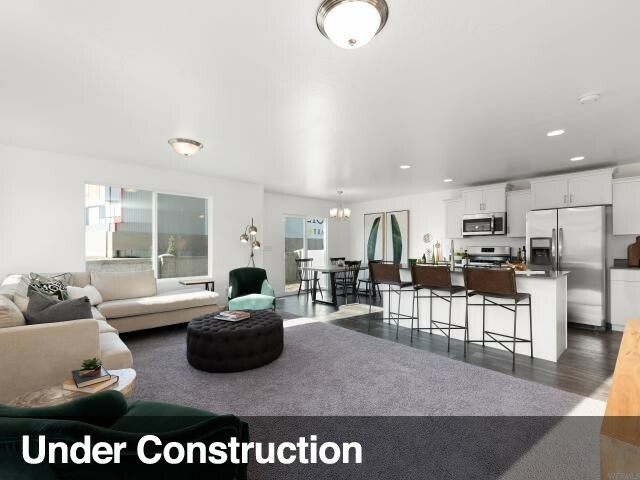 The main living area is set up for entertaining with a spacious living room, dining area and a beautiful bright kitchen, quartz counter tops, stainless steel appliances and a pantry! This is the two-master bath floor plan meaning both large bedrooms each have a full bathroom attached. Both bedrooms have walk-in closets. This town house was constructed by Garbett homes which is known for building very energy efficient homes. As such, utility bills will be less than many other town houses of the same size. The community has some great amenities such as a pool, hot tub, clubhouse with gym and playground! Square footage figures are provided as a courtesy estimate only and were obtained from similar listing. Buyer is advised to obtain an independent measurement." "Location is key and this town home is in a great location. Open floor plan, fully finished basement, a two car garage and part of The Overlook community. Clubhouse, pool, covered pavilion and BBQ picnic areas. HOA includes Comcast High Speed Internet! Amazing Rosecrest master community includes outstanding parks and fantastic bike and walking trails. Minutes away from mountain view village, shopping, dinning, restaurants and more. 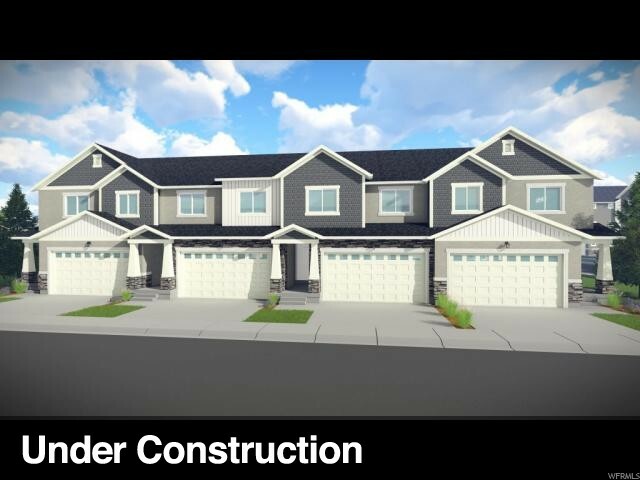 Only 15 min to Silicon Slopes and close to I-15 shopping and restaurants. All appliances included, as well as already installed blinds (composite 2 ). Great for owner occupied or an investment. Currently leased at $1,550/month." "DR Horton is currently offering a $5,000 discount (included in price! The McKinley floorplan is very open and has 3 bed, 2 bath, 2 car garage. 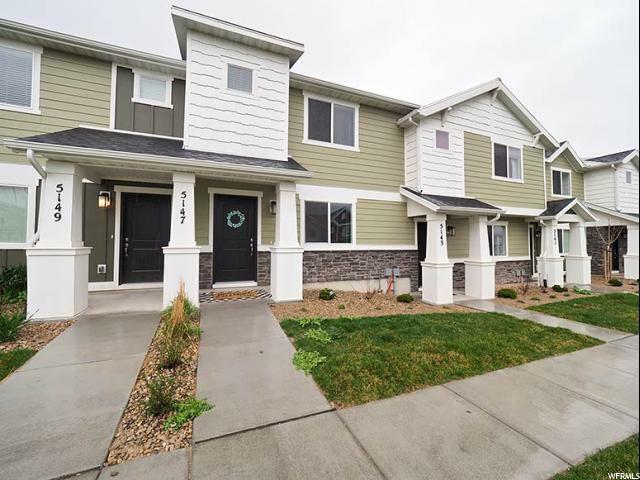 These townhomes have been extremely popular. We have these being completed every month so we almost always have inventory. Builder offering $3,000 preferred lender credit. Please call/text me to set up an appointment to see them. Pictures are of the finished and decorated model home. Furniture and refrigerator are not included in sale of homes." 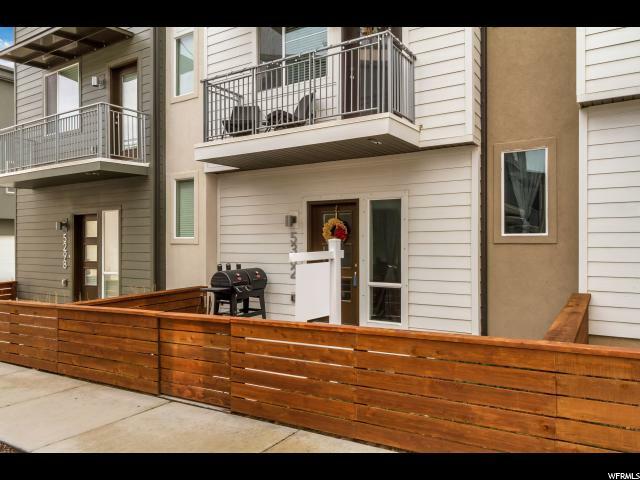 "Come see this GORGEOUS new townhome before it's gone! Bright and open floor plan, with granite counters in the kitchen and upgraded cabinets throughout. Purified water system and water softener throughout the home. Wide open grass area in front of home for kids and friends to play in. This beauty won't last long! Schedule your showing today! " "New town homes in Somerset Villas At Miller Crossing, where Luxury is Standard. 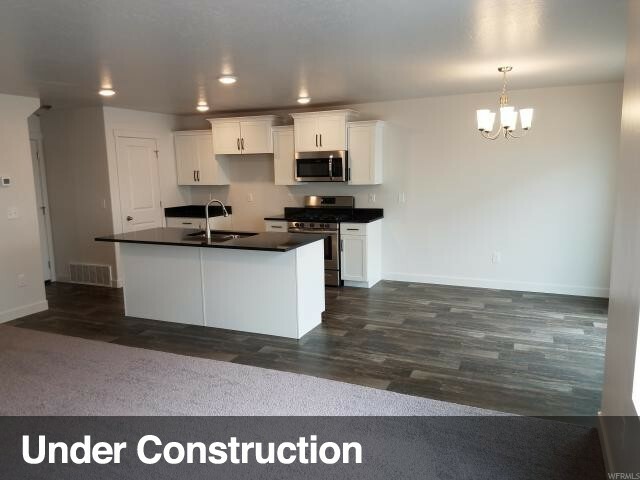 Long standard features list that include granite counter tops throughout, 2 tone paint, 95% efficient furnace, ceiling fan and tile floors in all the baths and laundry rooms. You can still choose your own colors and customize to your taste. Check out the website for more information...Somersetvillas.info. Pictures are from a previously finished unit. This unit should be completed in June"
"**DR Horton is currently offering a $5,000 discount (included in price)!! ** Miller Crossing is one of DR Hortons most popular communities! 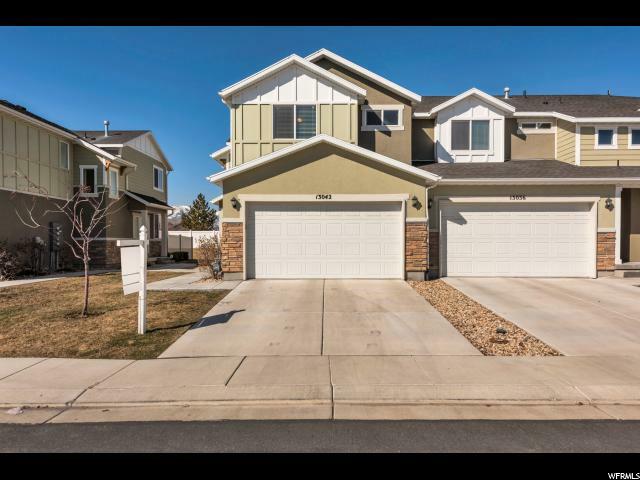 Convenient location close to schools, Daybreak trax station, Herriman Rec Center, and Mountain View Corridor. This McKinley floor plan is a middle unit featuring an extra large master with his and her walk in closets, beautiful open kitchen/dining/living area with quartz countertops, 3 spacious bedrooms, 2 car garage, and a basement for room to grow! Fully maintained landscaping so great for an investment property. Ask about 3K towards closing costs with our preferred lender. Built by America's #1 builder. Home warranty included! Photos: Actual home may differ in color/materials/options." "Come buy a brand new townhouse before they are all gone! 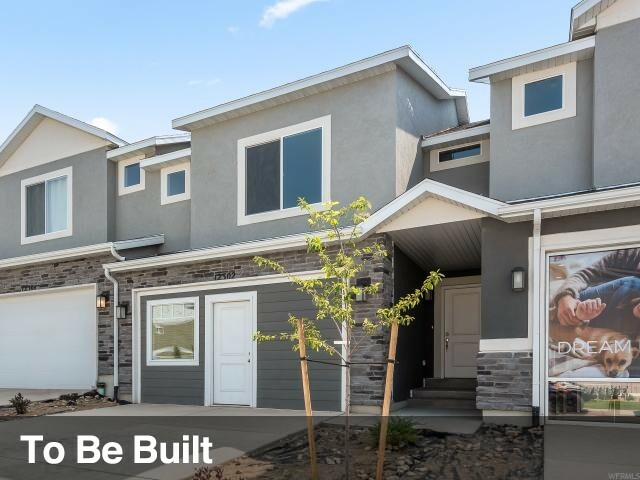 Built by America's largest home builder, these townhouses in Herriman focus on providing a quality built home at an affordable price. These townhouses are truly the best deal in town for a new construction townhouse. Right now we have townhouses that will be complete in May, June, and July. This townhouse will be completed in late July. The Devon floor plan is our row-mid town home. Our Devon floor plan is our largest town home floor plan. The floor plan features an open layout on your main floor. The family room, kitchen, and dining room all flow together allowing unobstructed sight/communication ability to one another. The kitchen features a large island as it's focal point. This home is a three bedroom with all its bedrooms located upstairs. If your focus is on the size and feel of the master bedroom, then this floor plan is for you! The spacious master bedroom measures 13'X19'! The master has two separate walk in closets! The basement is unfinished. This floor plan has a two car garage with a driveway approach allowing plenty of parking for you and guests. Come in today! Ask about our Affiliated Lender Incentive, $3,000 towards closing costs if you use our affiliated lender. Pictures of home may be a rendering. Actual home may differ in color/materials/options/layout. Advertised price may change due to additional upgrades. Buyer to verify all info. Model Hours: Mon - Sat from 11:00am - 6:00pm, Wed from 1:00pm - 6:00pm. " "This home is better then new!! You will love open flow of the large family room, dining area and kitchen.There is not a lack of cabinet space or storage in the pantry and don't worry, there is also a half bath on the main floor! New carpet though out the house and a fully finished basement. The master bedroom has his and her's walk in closets, double sinks and a separate tub and shower. You will love the high end custom built cabinets through out the home." "DR Horton is currently offering a $5,000 discount (included in price)!! Builder is also offering a $3,000 preferred lender incentive. Price includes $2,045 in options. Miller Crossing is one of DR Horton's most popular communities. 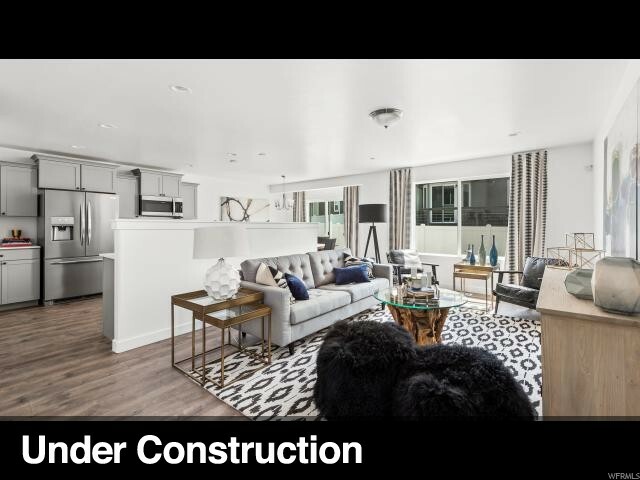 The Granite model is an end unit that features an open kitchen/dining/living area, large master bedroom, his/hers walk-in closets, 3 spacious bedrooms, and a 2 car garage. Please contact me to set up an appointment to see them." 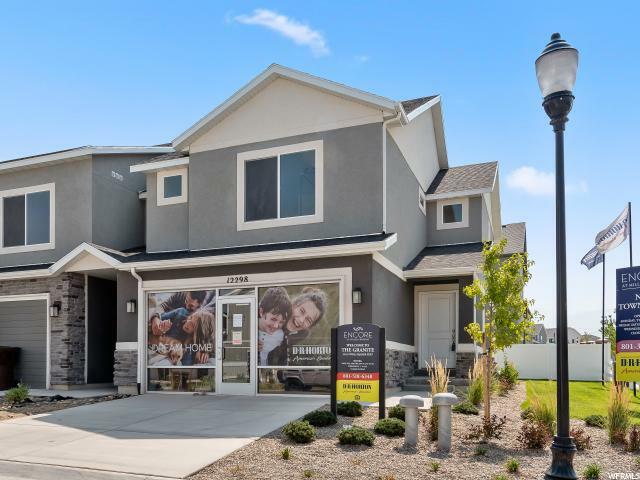 "Welcome to the brand new community of South Hills in Herriman! This master planned community is built by the award winning D.R. Horton Homes, America's Largest Home Builder for 16 years in a row. This community boasts gorgeous views of the Salt Lake City Valley and the majestic Wasatch Mountain Range. The Devon floor plan is our row-mid town home. Our Devon floor plan is our largest town home floor plan. Ask about our Affiliated Lender Incentive. Pictures of home may be a rendering. Actual home may differ in color/materials/options/layout. Advertised price may change due to additional upgrades. Buyer to verify all info." "Extremely popular townhomes. 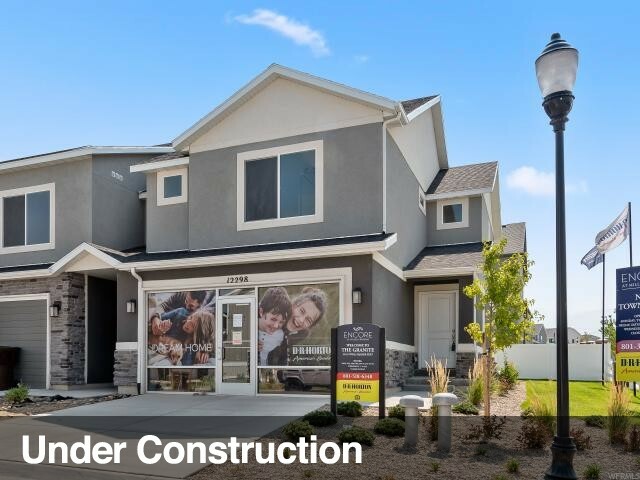 The builder is offering $3k towards closing costs when you use the preferred lender. Open concept home with 3 beds, 2 baths, 2 car garage, and large/flat driveways. Estimated completion is July 2019. We have available homes being finished every month from May-September. *Photos: Home pictures are of the same floor plan from a different community. Actual home may differ in color/materials/options. Our townhomes come with white or grey cabinets. * Buyer to verify all information." "**DR Horton is currently offering a $5,000 discount (included in price)!! ** Miller Crossing is one of DR Hortons most popular communities! 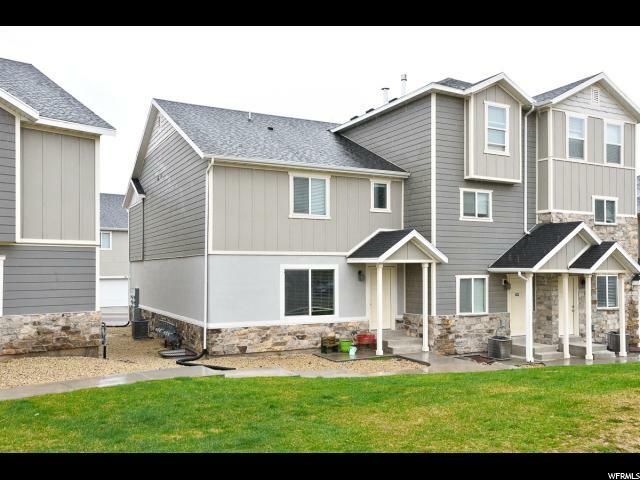 Convenient location close to schools, Daybreak trax station, Herriman Rec Center, and Mountain View Corridor. 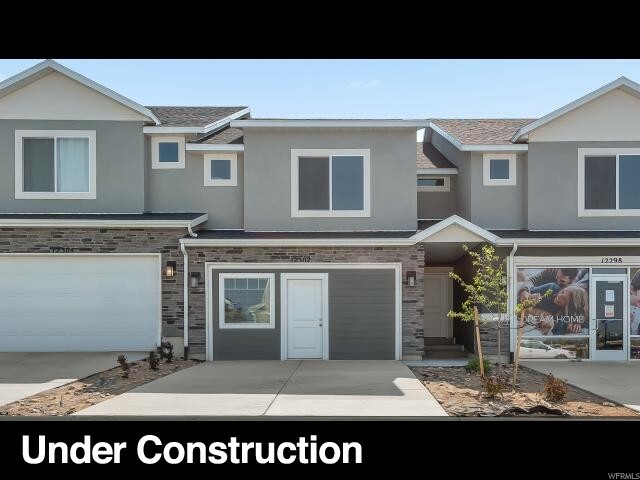 This Granite model is an end unit featuring a beautiful open kitchen/dining/living area with quartz countertops, large master with his and her walk-in closets, 3 spacious bedrooms, 2 car garage, and a basement for room to grow! Ask about 3K towards closing costs with our preferred lender. Built by America's #1 builder. Home warranty included! Photos: Actual home may differ in color/materials/options." "New townhome at South Hills. The builder is offering $3k towards closing costs when you use the preferred lender. Open concept home with 3 beds, 2 baths, 2 car garage, and large/flat driveways. Estimated completion is August 2019. We have available homes being finished every month from May-September. *Photos: Home pictures are of the same floor plan from a different community. Actual home may differ in color/materials/options. Our townhomes come with white or grey cabinets. * Buyer to verify all information." 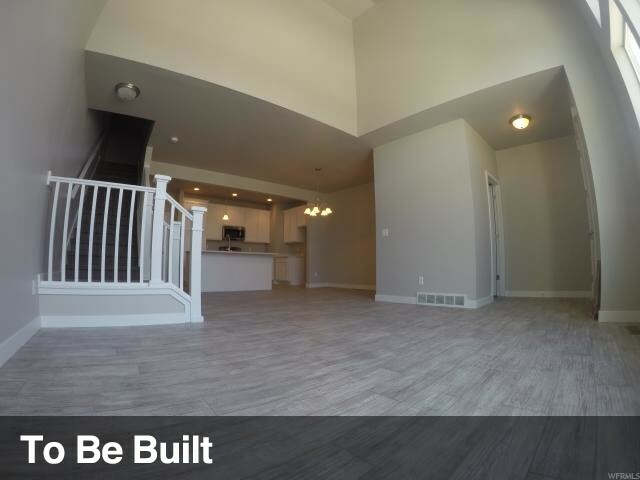 "Beautiful townhome at the master planned community of South Hills! Large bedrooms, large walk in closets and open concept living. Estimated completion is June 2019. *Photos: Home pictures are of the same floor plan from a different community. Actual home may differ in color/materials/options. Our townhomes come with white or grey cabinets. * We always have inventory including quick move in homes!" 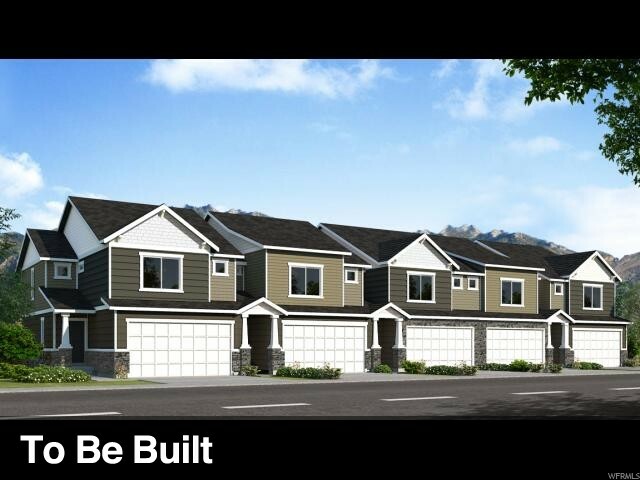 "Welcome to the brand new community of South Hills in Herriman! This master planned community is built by the award winning D.R. Horton Homes, America's Largest Home Builder for 16 years in a row. 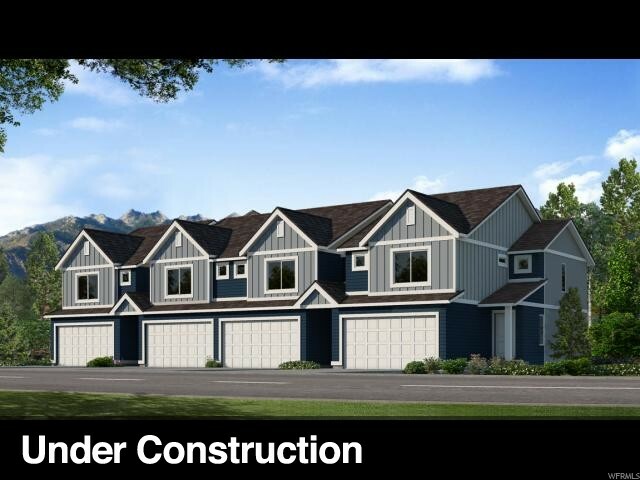 This community boasts gorgeous views of the Salt Lake City Valley and the majestic Wasatch Mountain Range. The Bryn floor plan is our row-end town home. Ask about our Affiliated Lender Incentive. Pictures of home may be a rendering. Actual home may differ in color/materials/options/layout. Advertised price may change due to additional upgrades. Buyer to verify all info." 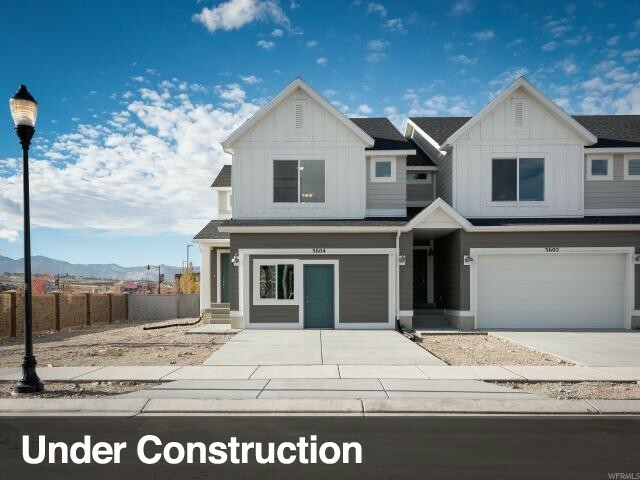 "Welcome to the brand new community of South Hills in Herriman! This premier community is built by America's Largest Home Builder for 17 years in a row. 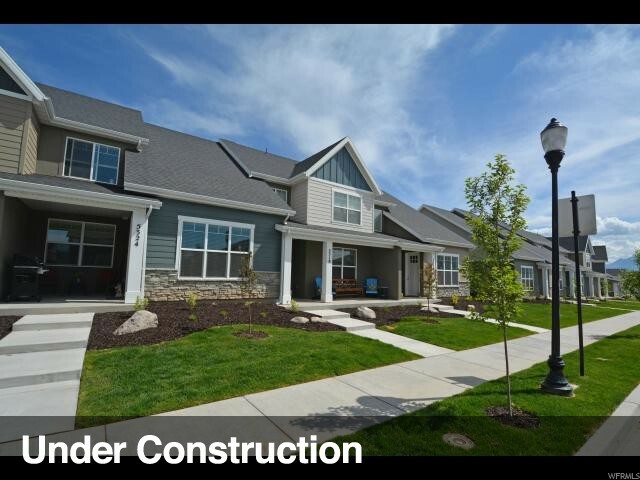 This community boasts gorgeous views of the Salt Lake City Valley and the majestic Wasatch Mountain Range. The Bryn floor plan is our row-end town home. Our Bryn floor plan has additional windows on its side to allow more natural light to enter the home. The floor plan features an open layout on your main floor. The family room, kitchen, and dining room all flow together allowing unobstructed sight/communication ability to one another. Upgraded luxury laminate flooring in the entry, kitchen, and dining room. The kitchen features a large island with upgraded quartz counter tops. This home is a three bedroom with all its bedrooms located upstairs. The master has two separate walk in closets! Yes you read that right, two walk in closets in the master on a town home! And the other guest bedroom has a massive walk in closet as well! The basement is unfinished allowing for added storage or future growth. This floor plan has a two-car garage with a two-car driveway approach allowing plenty of parking for you and guests. Come in today! Ask about our Affiliated Lender Incentive, $3,000 towards closing costs if you use our affiliated lender. Pictures of home may be a rendering. Actual home may differ in color/materials/options/layout. Advertised price may change due to additional upgrades. Buyer to verify all info. Model Hours: Monday, Tuesday, Thursday, Friday, and Saturday from 11:00am - 6:00pm. Wednesday from 1:00pm - 6:00pm. Closed Sundays. " 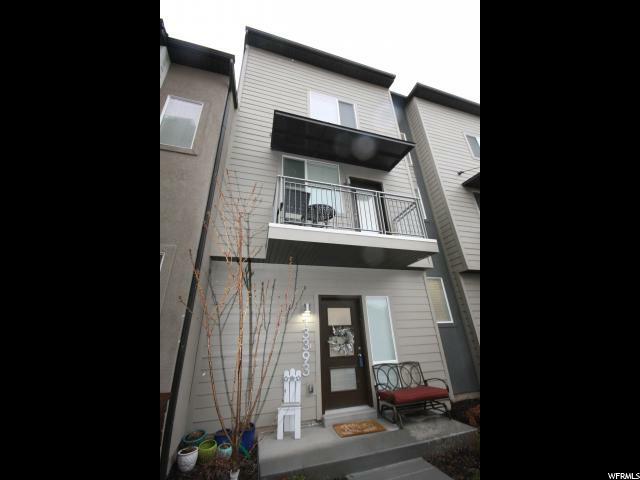 "Like new, super clean, light, bright and open, 9 ft tall ceilings, end unit town-home in Herriman Town Center. Room to grow, plenty of storage, good size rooms. Great Master bedroom with walk-in-closet and master bath. Lots of cupboards + a pantry in the kitchen. Premium up-graded lot, no neighbors in the back, large open space to play. Fall in love!!"